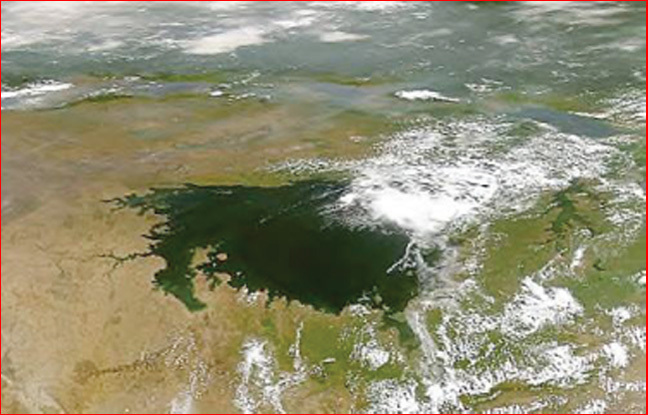 Lake Victoria may be among the largest electrical formations on Earth. Surrounding the lake are several circular structures and other features similar to those found on other planets and moons. 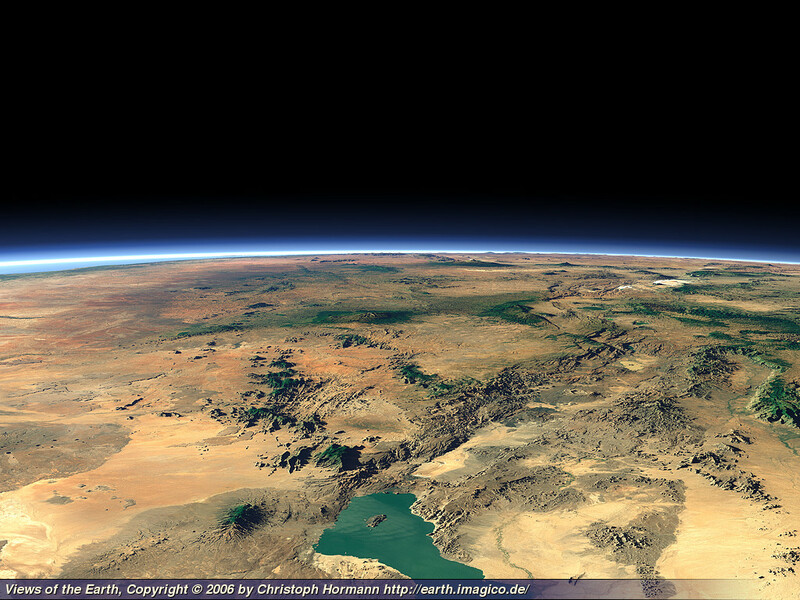 The geography in this area (and the rest of Africa) strongly suggests electrical influence. 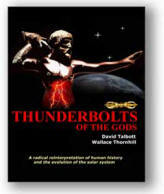 In other Thunderbolts Picture of the Day articles, evidence was presented indicating that many features in Africa are the result of plasma arcs excavating the surface and forming what we see today. The Brandberg Massif, Kebira Crater, the Richat Structure and others could very well be the scars from electric discharge machining (EDM) in an earlier, electrically active phase of solar system history. As we have investigated these formations more closely, it appears that the same kind of power may have helped to create Lake Victoria, as well. In conventional geological theory of plate tectonics, the continents are floating on a layer of molten rock several miles beneath the Earth's crust. The higher density of the magma and the lower density of the continental rock makes them able to move around on the face of the planet, sometimes colliding and sometimes pulling apart. Huge areas called, "subduction zones" pull vast blocks of sedimentary rock down into the hot interior where they melt into the magma. As the crustal blocks above the melt zones heat up, volcanoes form and erupt the subducted seafloor sediments out onto the land in the form of lava, creating a cycle of destruction and reformation. 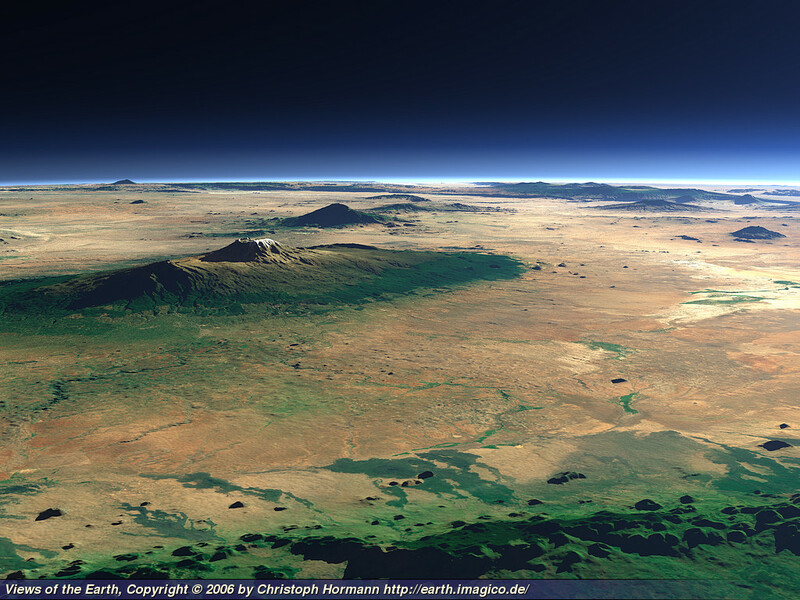 In and around the Rift Valley vicinity are the largest volcanoes in Africa and the world, including Mt. 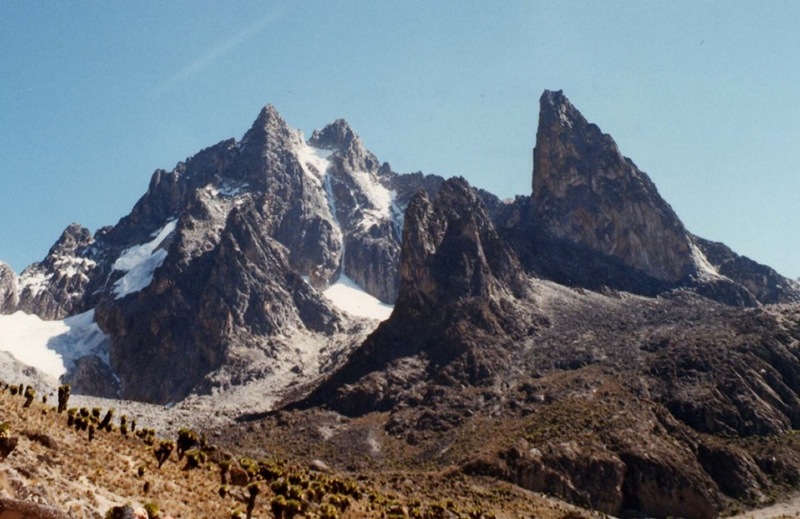 Kenya and Mt. Kilimanjaro. Some are extinct and the majority have not erupted for hundreds of years. 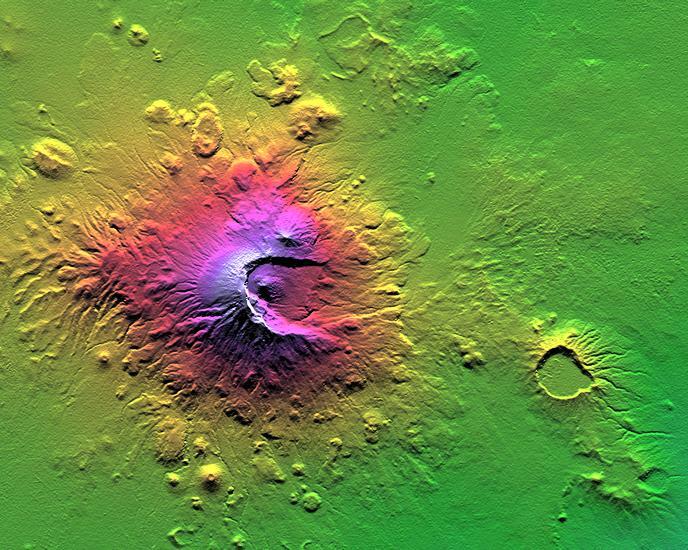 All of them represent what geologists call, "shield volcanoes" that occur over spots that are particularly hot, with magma unusually close to the surface. Mt. Kilimanjaro and the others are really multiple volcanoes that have merged together into larger structures. There are very large fractures beneath the peaks from which the original eruptions took place, similar to the long fracture volcanoes in Hawaii. 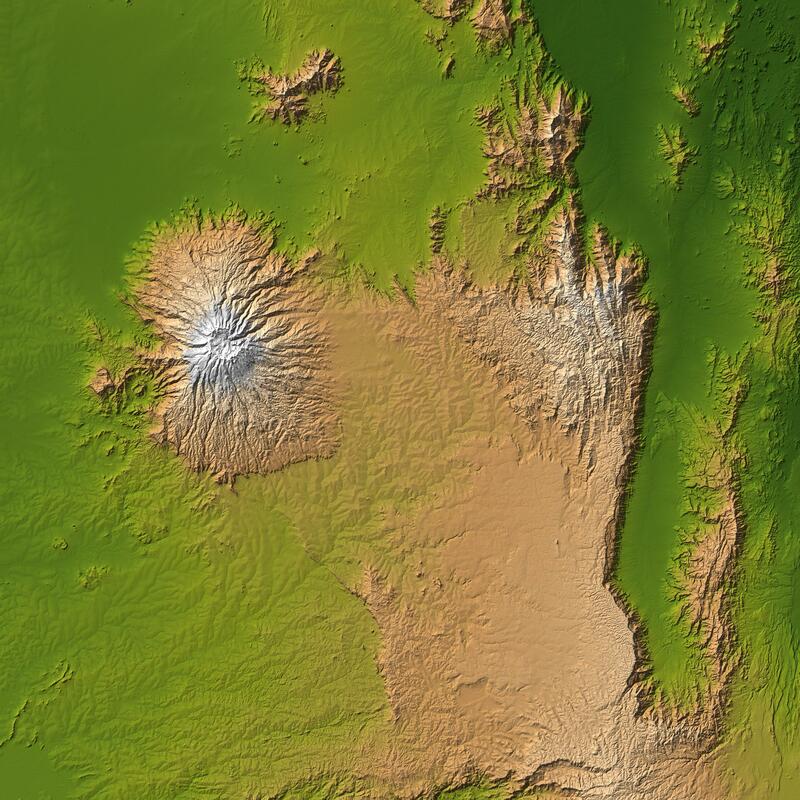 Those African peaks include Mt. Kilimanjaro, Mt. Elgon, Mt. Meru and many others. They are all located on top of a dual-ridge fault that circles Lake Victoria. One very interesting aspect of the fault is that it begins as a bifurcation in the Afar Depression, loops back on itself as the Western Rift Valley, forms Lake Victoria and then travels to the south, where Lake Malawi fills-in the huge crack. Near Mt. Meru are sharply cut dendritic ridge or "Lichtenberg" figures that cover hundreds of square miles. Mt. 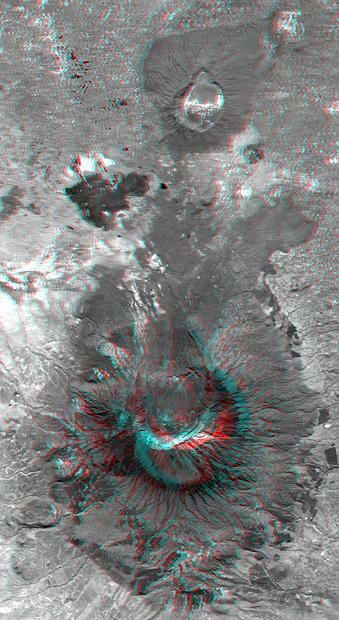 Meru, itself is very unusual in that is a half crater with a sharply pointed central peak. In the Mountains of Patagonia article, such formations were presented as forming from large electric arc discharges, since no volcanic eruption would ever leave a needle-sharp peak in the blasted remains of a half-crater. Certainly Mt. St. Helens did not leave any such basalt monolith behind. Because Lake Victoria is a circular feature in the midst of a kilometer-deep trench, surrounded by the largest volcanoes in the world, with what appear to be city-wide lightning trackways carved into the rocks in many places. 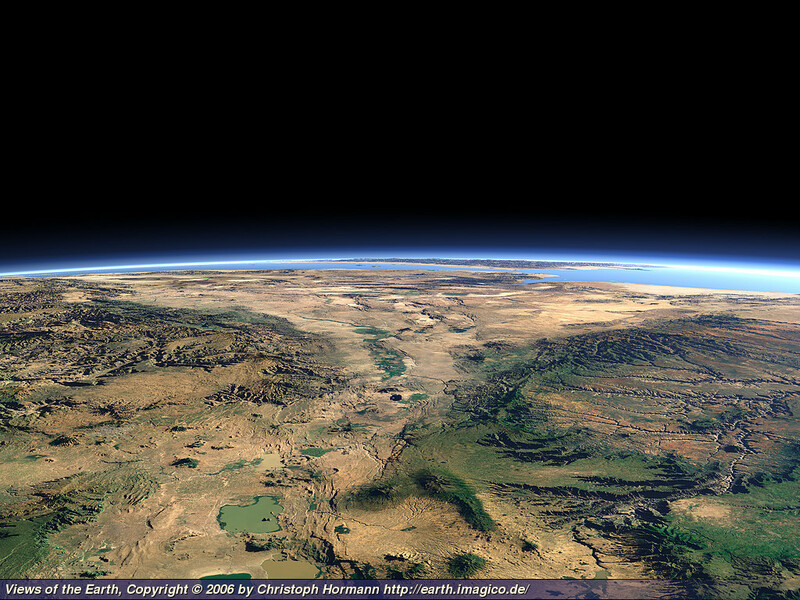 it seems more reasonable to conclude that electrical forces created the Lake and the Rift Valley, just as they produced many other large circular features we have previously described.